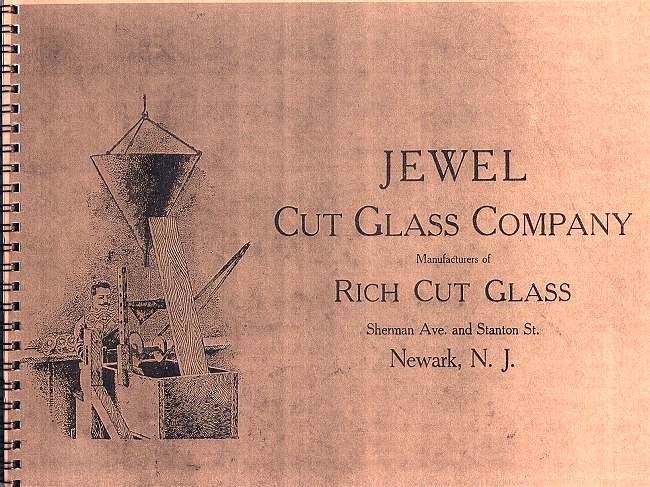 A wonderful addition for your American Brilliant cut glass reference library — a Jewel Cut Glass Company catalog. This bound, high-quality, 22-page catalog is a first-generation reprint of an original catalog; it is the only known Jewel Cut Glass Co. catalog. 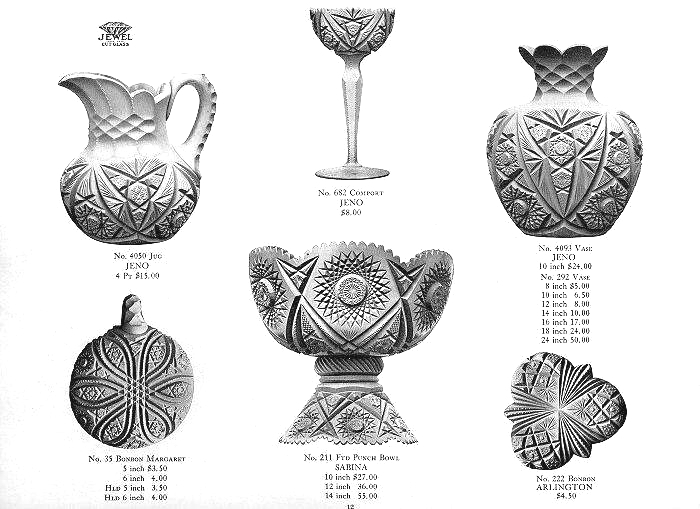 The catalog contains 44 previously unidentified Brilliant Period Patterns. A limited number of catalogs are available.